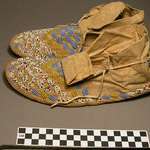 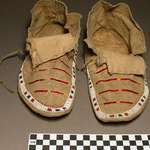 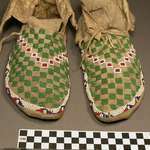 Man's moccasins with rawhide soles. 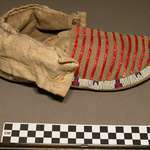 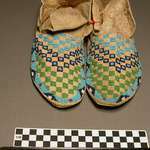 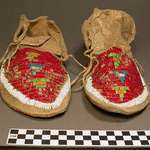 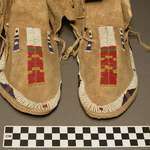 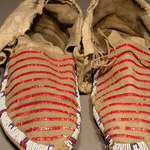 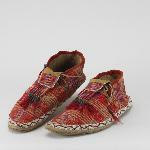 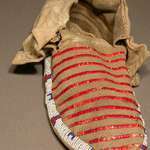 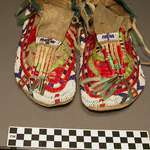 Buckskin uppers with beaded band, red and dark blue on white ground; center, parallel red lines of quilling. 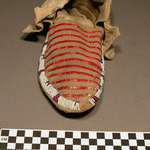 Ankle piece of canton flannel. 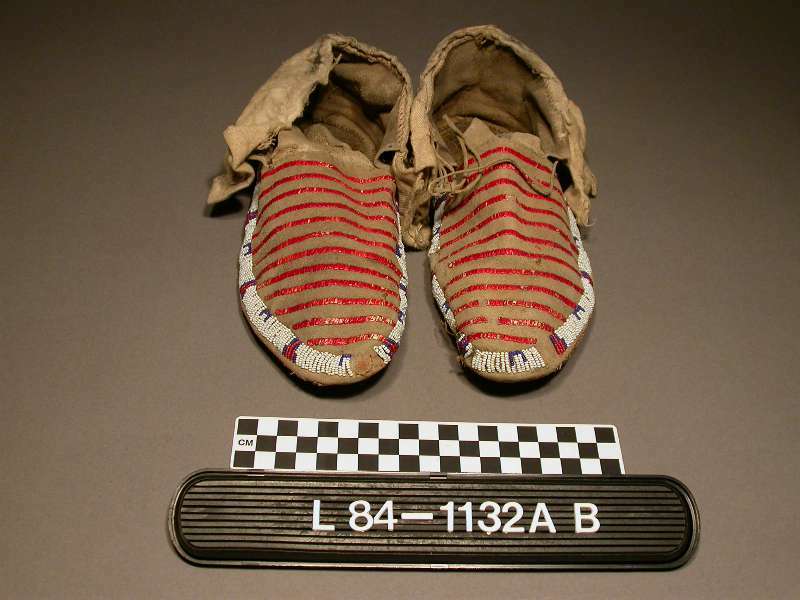 Trailers.